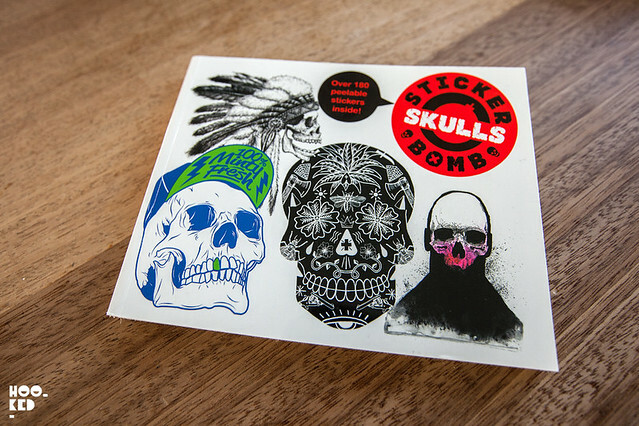 Stickerbomb Skulls is the latest themed book in the super-successful Stickerbomb series, which sees Studio Rarekwai partner up once with publishers Laurence King for this release. 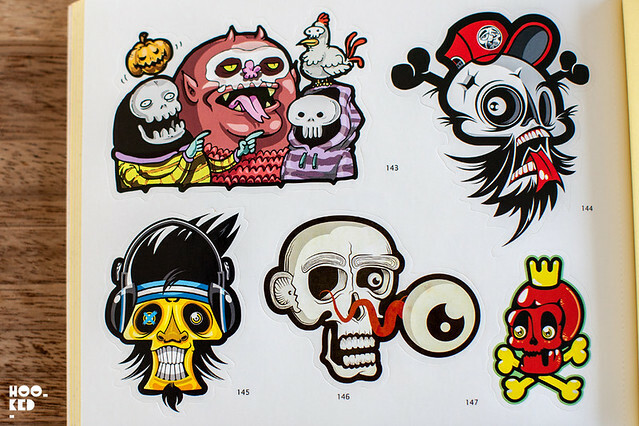 As with the previous titles in this series, Stickerbomb, Stickerbomb 2, Stickerbomb Monsters and Stickerbomb XL (covered here) this new publication is jam packed with a cool collection of over 190 original fully peelable skull stickers from artists around the world. 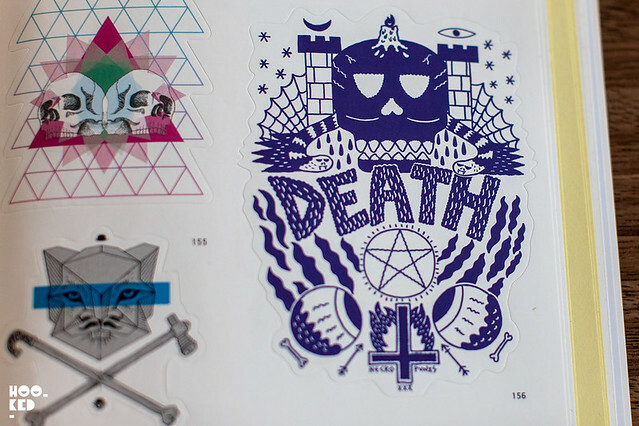 Existing Stickerbomb fans, sticker lovers, as well as fans who love skull imagery will be impressed with the eclectic mix of illustrators and street artists who have contributed works to be made into die-cut stickers for the book. Ryo Sanada and Shazeed Hassan of Studio Rarekwai have curated another strong collection in this quality publication which will have you peeling stickers from the book and slapping skulls on everything you own. 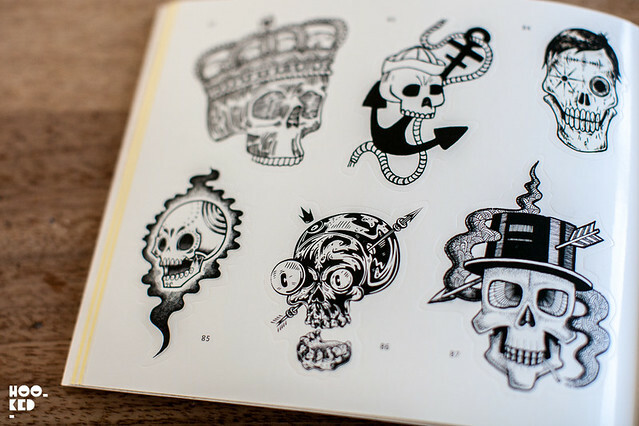 The Stickerbomb Skulls book has now been released and copies are available to buy online on Amazon here and in major bookstores. You can also win a copy of this new release, details are at the bottom of the post. 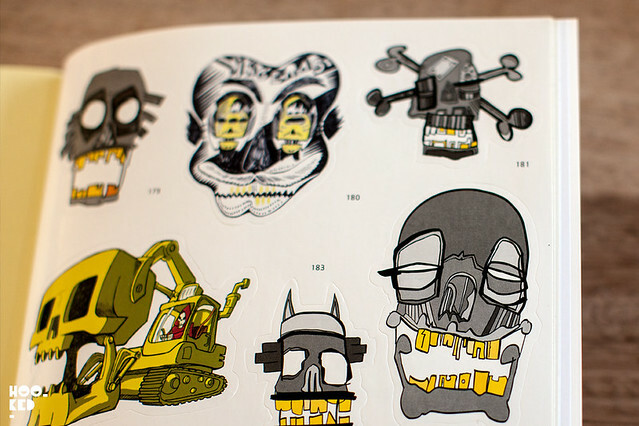 COMPETITION IS NOW CLOSED.Win A Copy of Studio Rarekwai's Stickerbomb Skulls. 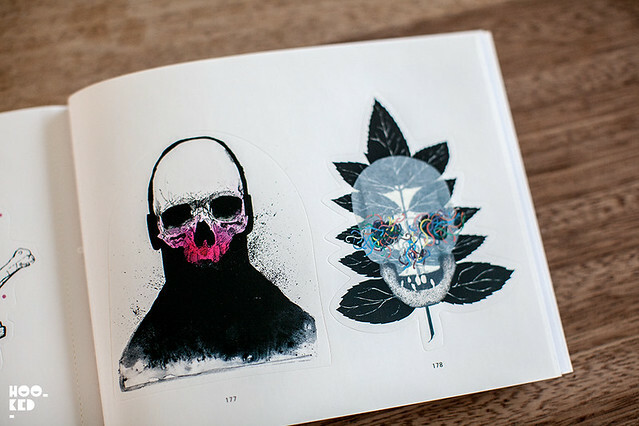 Thanks to Laurence King, Hookedblog have two copies of the Stickerbomb Skulls book up for grabs for our readers. Follow the simple instructions below, and answer the question for a chance to win. Each additional step completed (Tweet, Follow etc.) 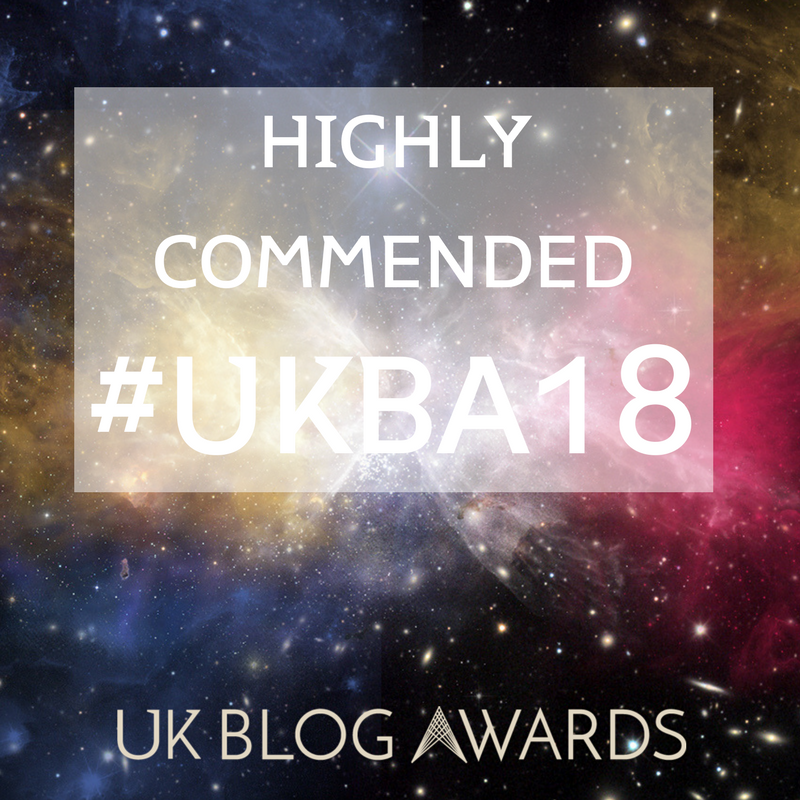 will increase your chances of winning a copy. Two winners will be chosen at random on the 2nd September. Good luck!